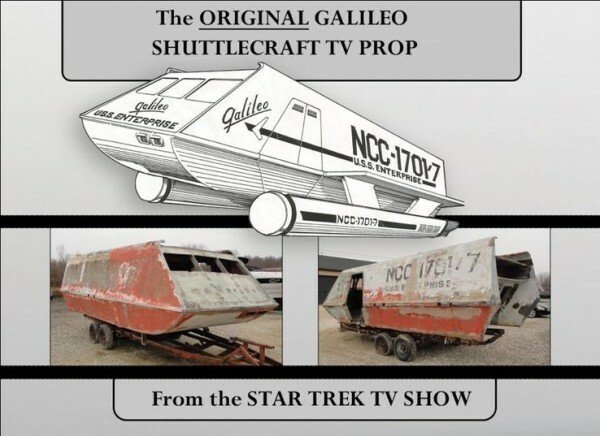 The ultimate mancave accesory or just a sound investment before we all stop using money, the 24 foot long, 9 foot high Galileo NCC-1701/7 shuttlecraft from Star Trek TOS was sold recently at auction to an undisclosed bidder for $70,150. It’s been sitting in storage since it was acquired by a collector a few years back and is need of a lot of work. The auctioneer said he believes the new owner plans to fix it up and put it on display in a museum.